Rhinelander Area lakes offer some of Wisconsin’s best fishing. The community is known as the “Ice Fishing Capital of the World.” Year-round, the fishing in the Rhinelander Area is spectacular. 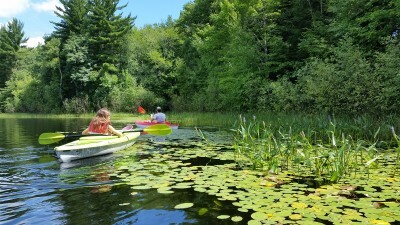 You’ll find lakes right in the heart of Rhinelander, such as Boom Lake, a large flowage on the Wisconsin River. There are hundreds more lakes within a short drive, including the popular Lake George, Lake Thompson, Lake Julia and the Moen Lake Chain. 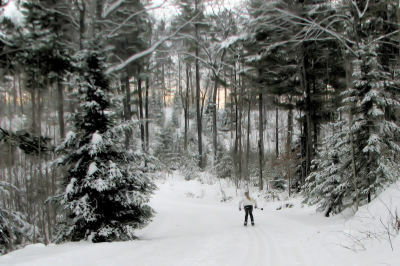 Hodag Country offers outstanding winter trails. Cross-country ski and snowshoe through snow-covered pines or glide along tamarack bogs and groves of hemlocks. Choose from several trails located just minutes from downtown Rhinelander. Excellent trail grooming combined with the area’s lodging, restaurants and numerous amenities make Hodag Country the ideal snowmobiling destination. For more information visit www.ExploreRhinelander.com.